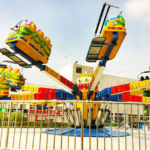 Amusement parks separate their rides into the children-friendly rides and the thrill rides. 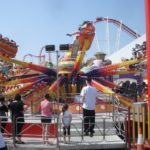 Of course, many of the thrill rides accommodate teenagers and younger children; however, this is not always the case as many thrill rides can be deemed somewhat dangerous for very young children. 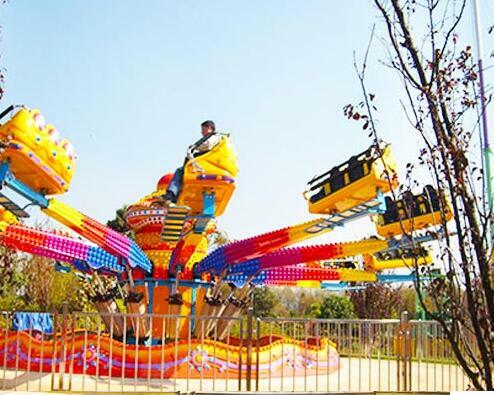 One of the most popular and extreme amusement park rides available is the jump and smile ride. 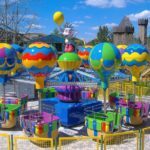 This article will provide information about the jump and smile ride which can be used to ensure it meets one’s specific amusement park needs. 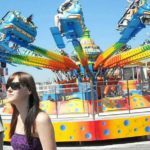 What Is A Jump And Smile Amusement Park Ride? 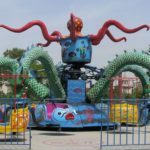 Contrary to different amusement park rides, there is a variety of jump and smile rides available – the four arm ride, the six arm ride, the eight arm ride, and the twelve arm ride. Irrespective of the amount of arms, the jump and smile park ride presents with colored cabins attached to extended arms. The arms are created from fiber glass enforced plastic and are attached to the bottom of the cabin. The arms are connected to a central column and offer a rising and falling movement, in addition to full rotation of the ride. How Does The Jump And Smile Park Ride Operate? 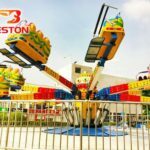 As is mentioned above, the ride includes a rotating column placed on an engine that controls the rotation of the central axis. The cabins are attached to the end of the arms being placed atop the arm. This type of cabin does not present with straps, instead the rider is secured using an overhead bar similar to ferris wheels. While utilizing an engine, this ride is manually operated so that the speed can be adjusted accordingly. Is The Jump And Smile Park Ride Safe? One security issue that most people consider when riding the jump and smile is the lack of strapping on the cabin; however, the risk of injury is reduced as the rider is secured using an overhead bar which has additional locks on either side. Furthermore, manual operation allows for adjustment of the speed according to the riders’ behavior. 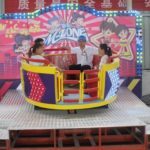 What Are The Advantages Of The Jump And Smile Amusement Park Ride? As is mentioned above, the jump and smile ride is comprised of reinforced plastic which decreases the risk of breaking and increases durability. It is also very attractive with various colors and enjoyable music when in operation. What Are The Disadvantages Of The Jump And Smile Ride? Unfortunately, this ride does present with certain disadvantages. One disadvantage is the lack of strapping for the rider; however, this is managed through additional security features. It should also be noted that this ride is not suitable for younger children and an age restriction is put into place. Finally, the lights can be unsuitable for individuals with photo-sensitive epilepsy.